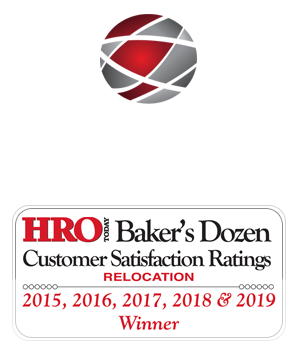 MoveCenter has been recognized as one of the Best and Brightest Companies to Work For in the Nation by the National Association of Business Resources. The Best and Brightest Program recognized 512 national winning organizations from across the country out of 2,400 nominations. MoveCenter was awarded as one of the top 101 highest-scoring companies in the country. As a Best and Brightest Company to Work For in the Nation, MoveCenter was recognized for positively impacting employees’ lives, helping them achieve fulfillment in their careers and go home happier. The 2018 national winners raised the bar and scored above the benchmark in several categories including compensation, benefits, employee engagement, retention, recruitment and work-life balance. Companies that recognize that their employees are the key to their success achieve staying power. Our 2018 winners create their human resource standards to ensure employee satisfaction and they set standards for every business to aspire toward,” said Jennifer Kluge, President and CEO, National Association for Business Resources. In addition to this award, MoveCenter was recognized as one of San Francisco’s Best and Brightest Companies to Work for in 2018 by the National Association of Business Resources. MoveCenter is proud to be among 16 finalists for the 2018 Better Business Bureau’s prestigious Torch Award for Ethics. The Better Business Bureau’s Torch Awards for Ethics recognizes companies that exemplify strong ethics, leadership and social responsibility. Following a nomination, each company must demonstrate their commitment to ethics in each of the following categories: Leadership Commitment to Ethics, Communications of Ethical Practices, Organizational Commitment to Ethical Practice, Organizational Commitment to Performance Management Practices, Organizational Commitment to Ethical Human Resource Practices and Organizational Commitment to the Community. LAS VEGAS, NEVADA – February 23, 2019 – MoveCenter was presented with Stevie® Awards in two categories in the 13th annual Stevie Awards for Sales & Customer Service. The Stevie Awards for Sales & Customer Service are the world’s top honors for customer service, contact center, business development, and sales professionals. The Stevie Awards organization stages seven of the world’s leading business awards programs, including the prestigious American Business Awards® and International Business Awards®. The awards were presented to honorees during a gala banquet on Friday, February 22 at Caesars Palace in Las Vegas, NV. More than 700 executives from the U.S.A. and several other nations attended. More than 2,700 nominations from organizations in 45 nations of all sizes and in virtually every industry were evaluated in this year’s competition. “All of the Stevie Award winners should be very proud of their achievements. Independent professionals around the world have agreed that their accomplishments are worthy of public recognition,” said Stevie Awards President and founder, Michael Gallagher.